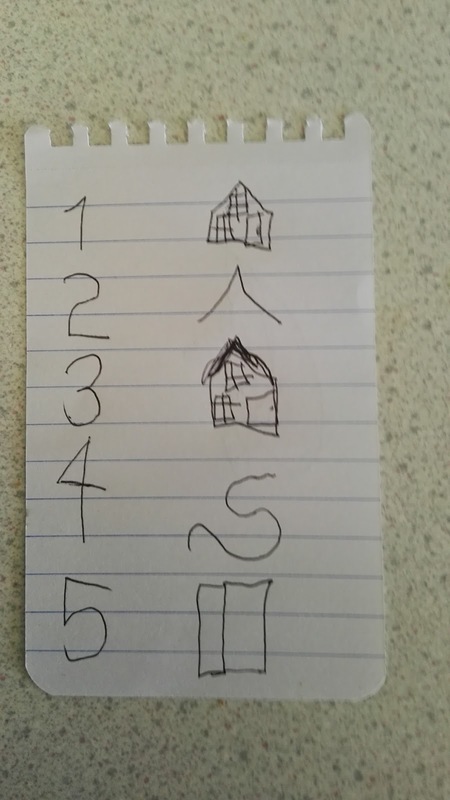 The other day my son declared that he wanted a house. 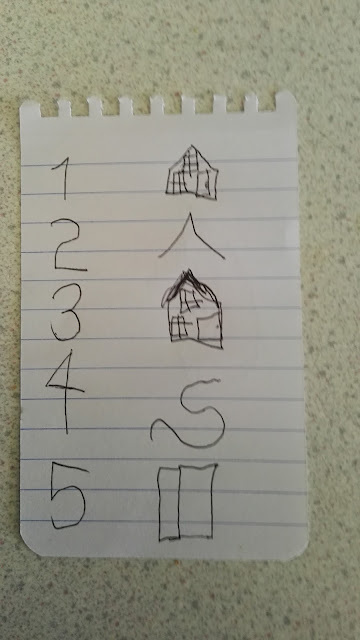 We pointed out that he already had a house, but apparently that's our house, and not his. He proceeded to produce a page of instructions. 5 - Put up some curtains. He must be a fan of modular off site construction. When questioned on fit out, he insisted on the provision of a refrigerator and an oven, but not a toilet. Apparently toilet-related activities can be done outside the house, which saves on the foul drainage connection. 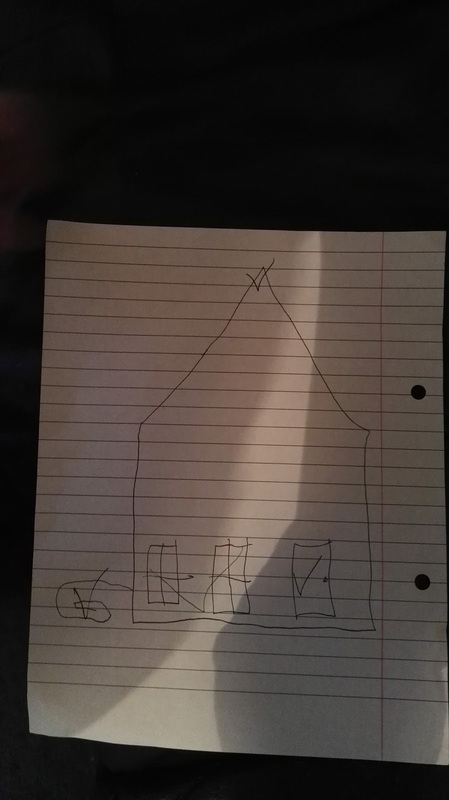 He also provided an elevation drawing. 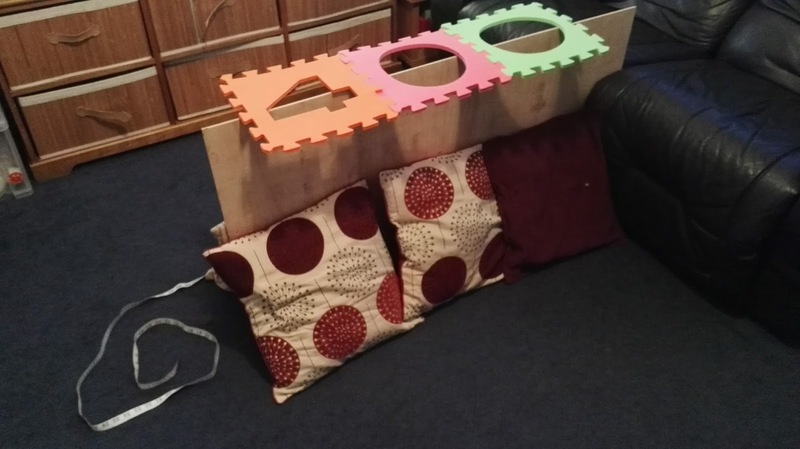 For clarification, we've got cushions for windows and doors, a tape measure as a garden hose, wooden superstructure and a foam number template roof secured by Blu-tac. Between you and me, I'm pleased with the build cost. Perhaps he has found a career at an early age? This is one step away from becoming an architect, Mike. Plus, what vision! I am an adult and I don't think I could coherently do a step by step instructional for anything, lol. Very good, the opposing pillow in the back is a nice touch.